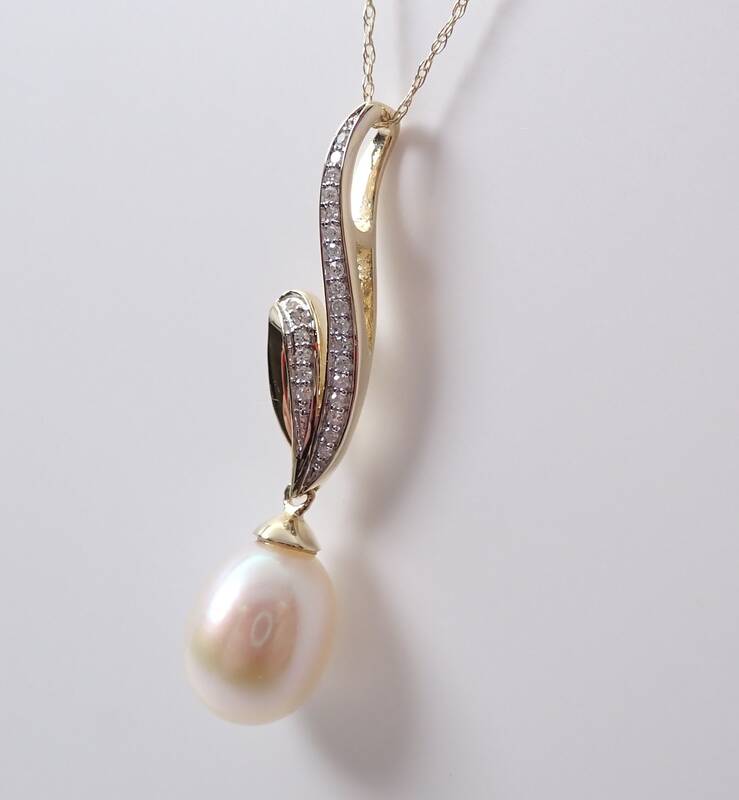 Yellow Gold Diamond and Pearl Drop Pendant Necklace with Chain. 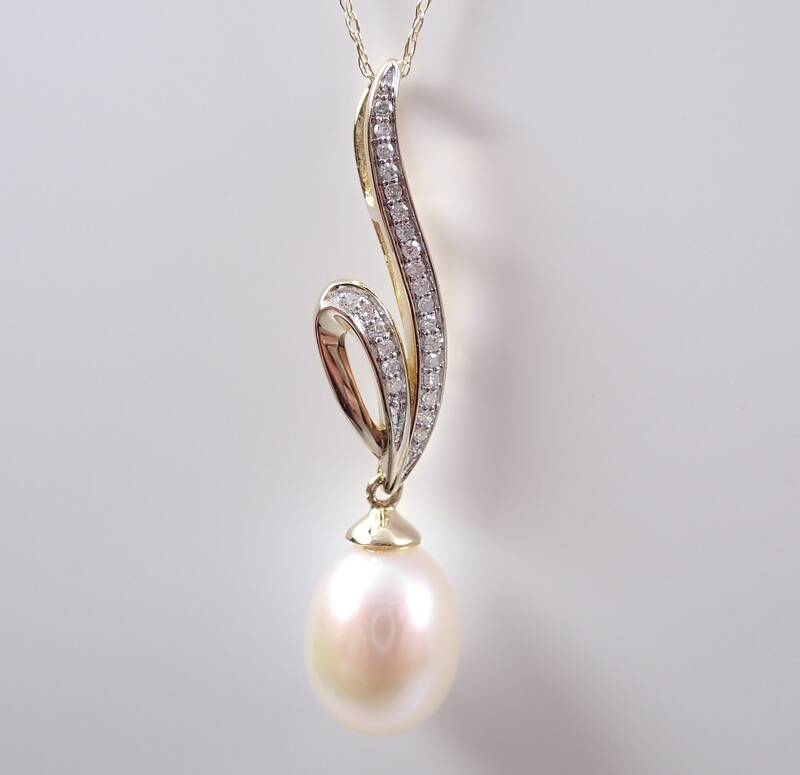 This pendant is set with one Cultured Pearl and twenty-four genuine Round Diamonds. The diamonds in this pendant are G color, SI clarity and weigh a total of .15 carat. 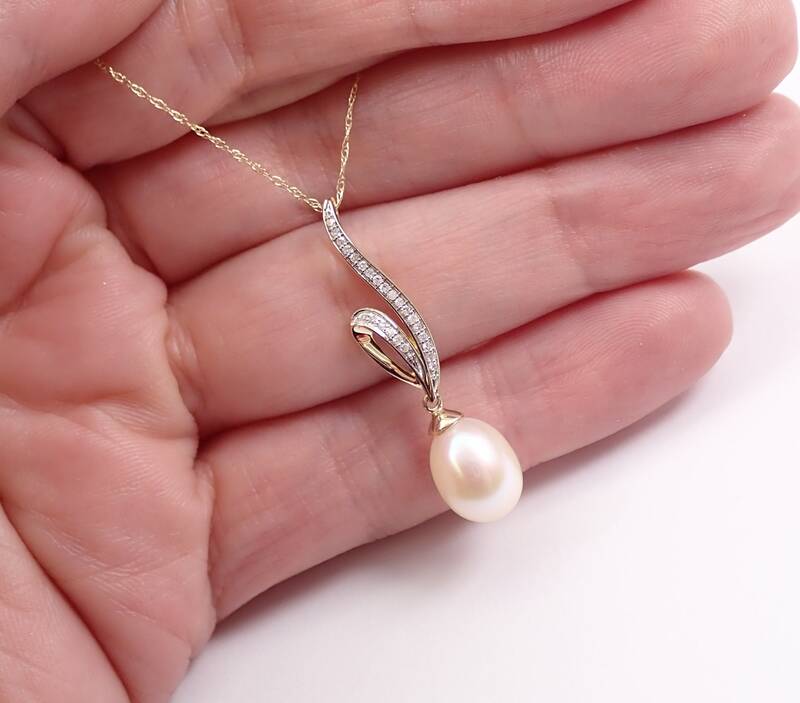 The pearl in this pendant measures 11 X 8 mm. 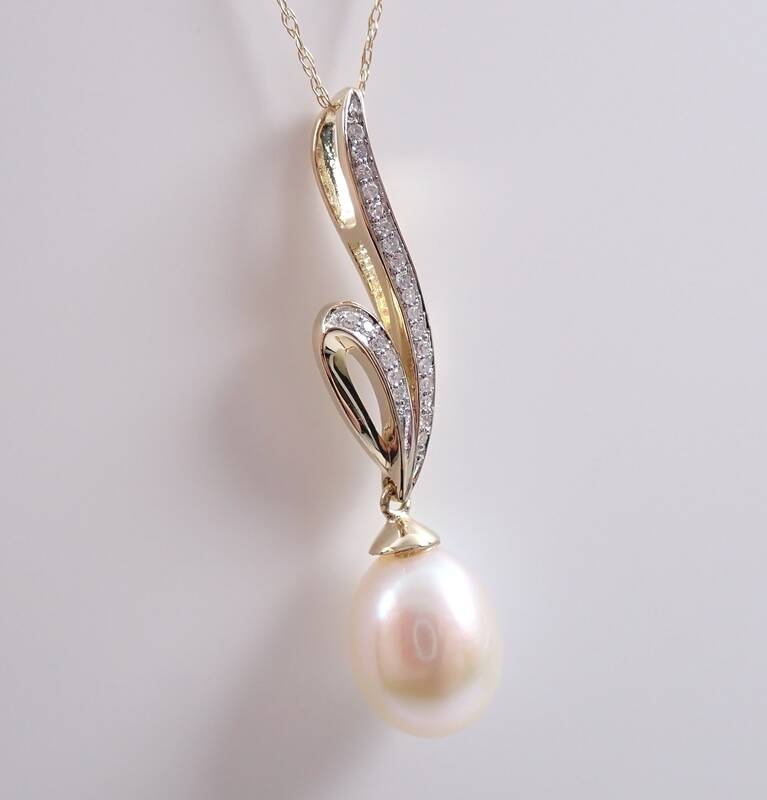 This pendant comes with an 18" 10KT Yellow Gold chain. 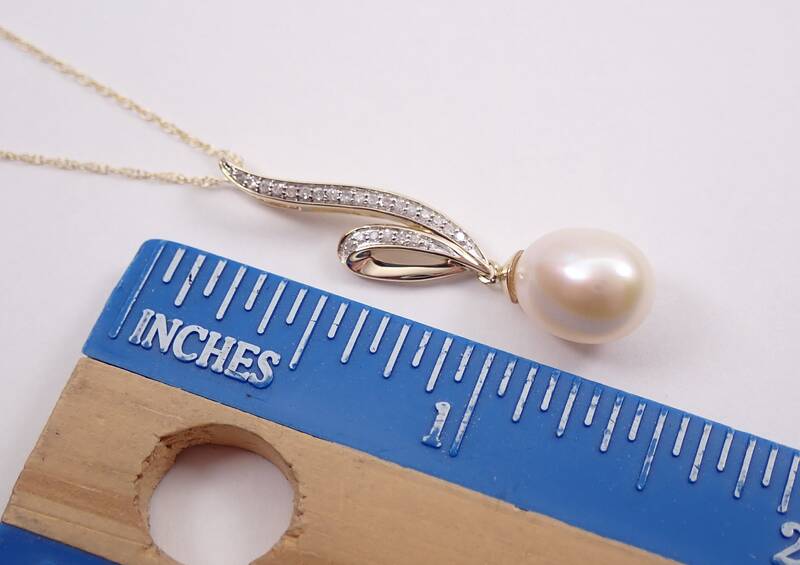 The pendant along with the chain weigh a total of 2.7 grams and the drop measures 32 mm in length. 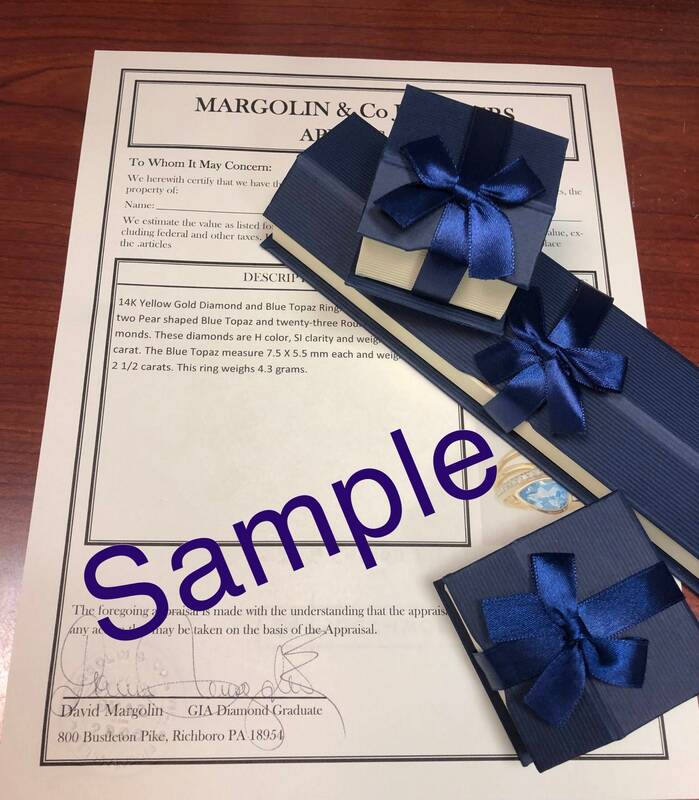 This necklace will be accompanied by an appraisal written by a GIA Certified Diamond Grader with the retail replacement value of $1,345.00. I will ship this necklace promptly in a beautiful gift box.